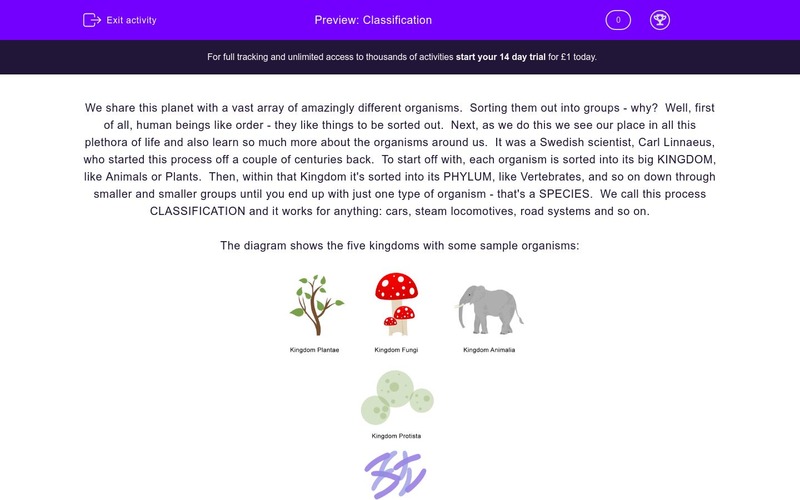 In this worksheet, students will learn about the scientific classification system. 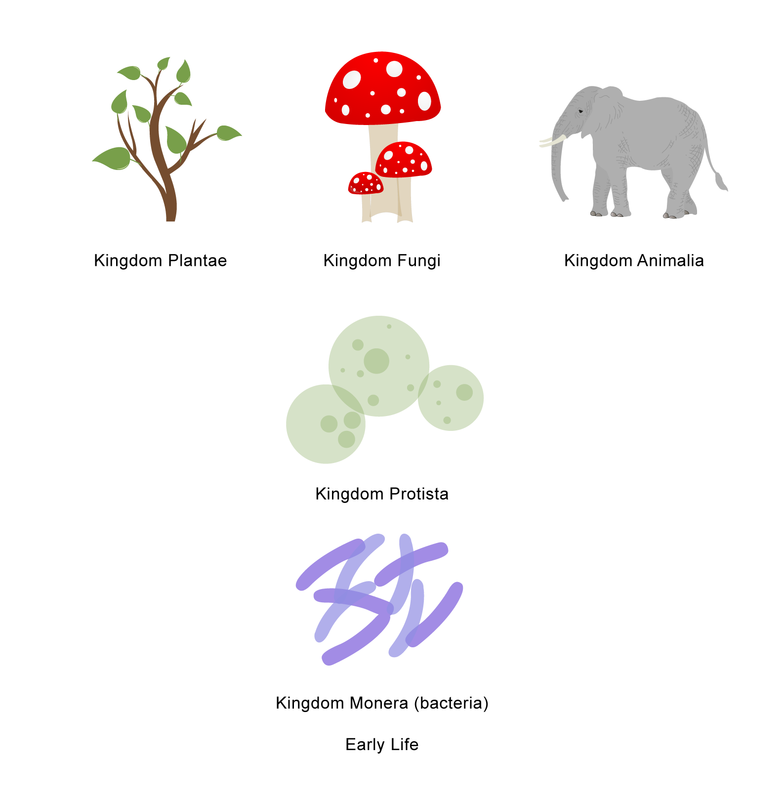 The animal kingdom is divided into two groups. 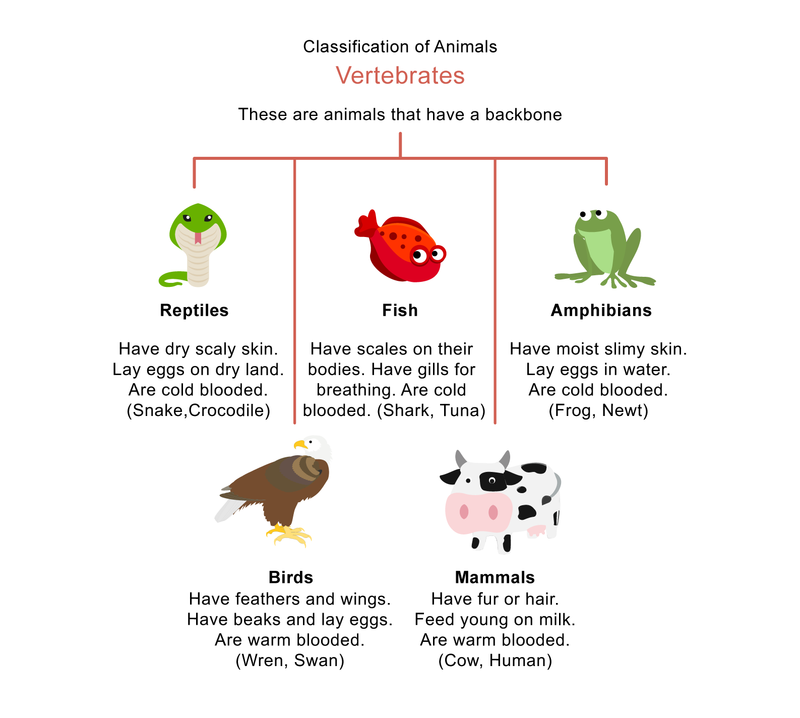 Vertebrates (with a backbone) and invertebrates (without a backbone). 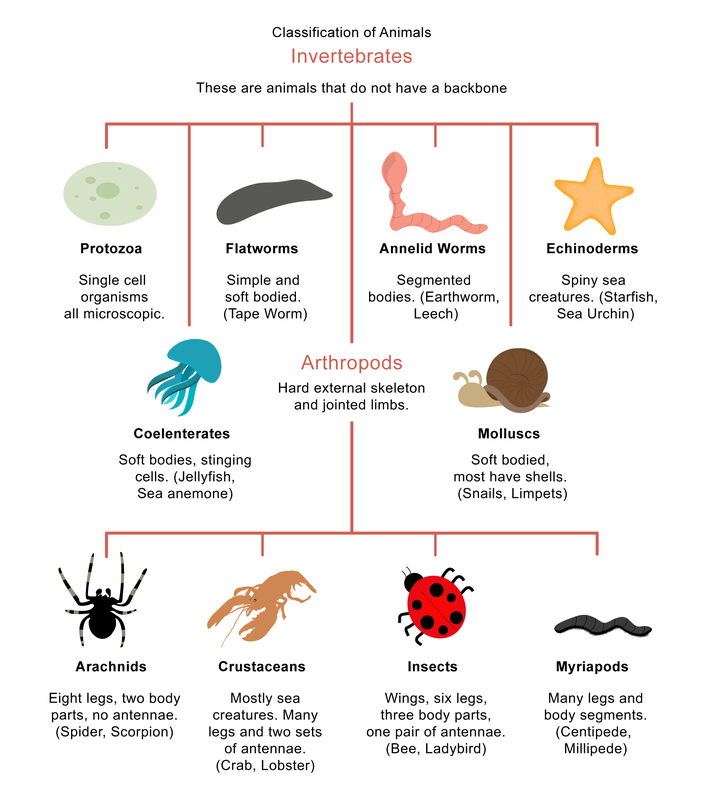 The diagram below shows further grouping and examples of vertebrates and invertebrates. It is really important that you remember the characteristics of all groups, especially all the vertebrate groups. You will be asked, in tests, to identify what group organisms belong to. 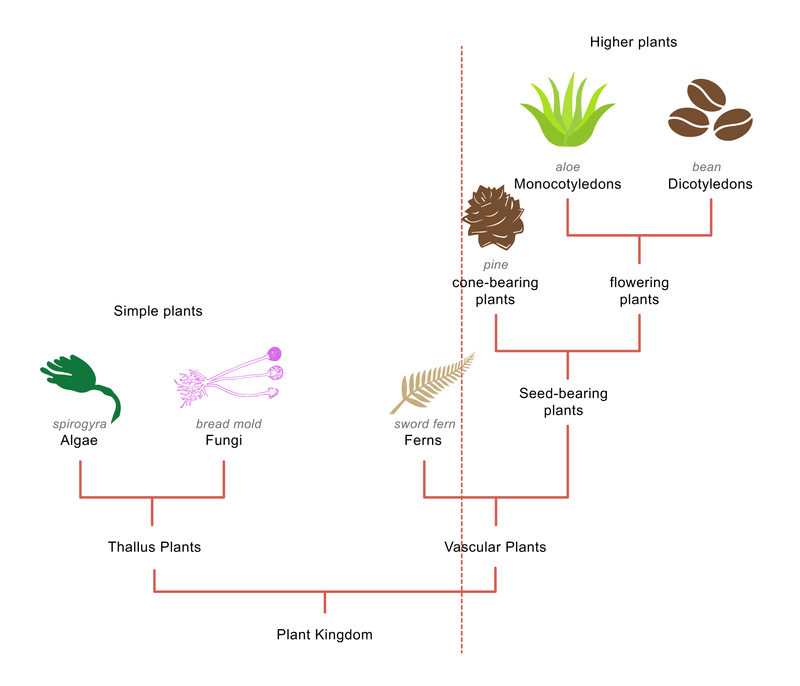 The second diagram shows the characteristics of plant groups. Arthropods from the invertebrates are even further classified into more groups. The diagram above shows four further groups of arthropods. What kingdom do lobsters belong to? Give an example of a mollusc. Tick two examples of echinoderms. The difference between mammals and the other vertebrates is that mammals are the only ones that give birth to live young. Echinoderms and molluscs are invertebrates. Sea urchins and star fish are echinoderms. Spiders are arachnids; arachnids have four pairs of legs, whereas insects have three. This is true. All the other vertebrates lay eggs. Amphibians live on land and in water. Aloes and beans are flowering plants.